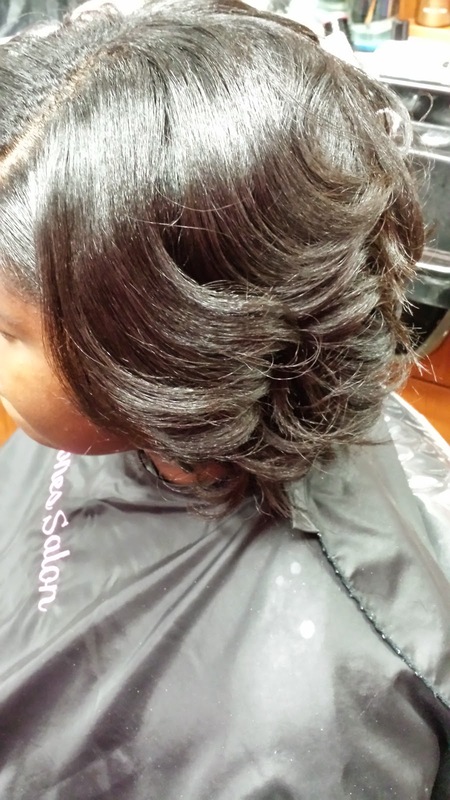 Relaxed Hair CAN Be Healthy! One of the most frequently asked questions that (new) clients ask me is if I am natural. Then when I ask why they have asked me that, they all say because my hair looks so healthy. Well, I have news for you. 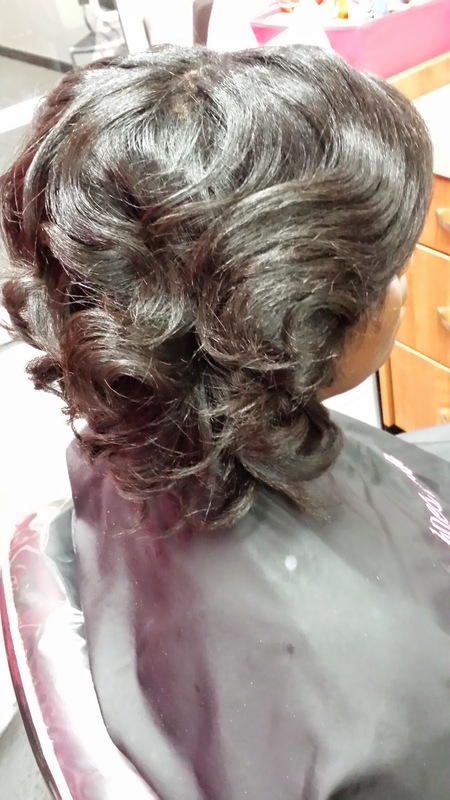 Relaxed hair can and should be healthy! For this reason, I try to educate all of my relaxed clients on how to get and keep their hair healthy while still maintaining a relaxer. In my opinion, all hair can be good hair as long as is healthy! The only bad hair is hair that is unhealthy, broken, and damaged. 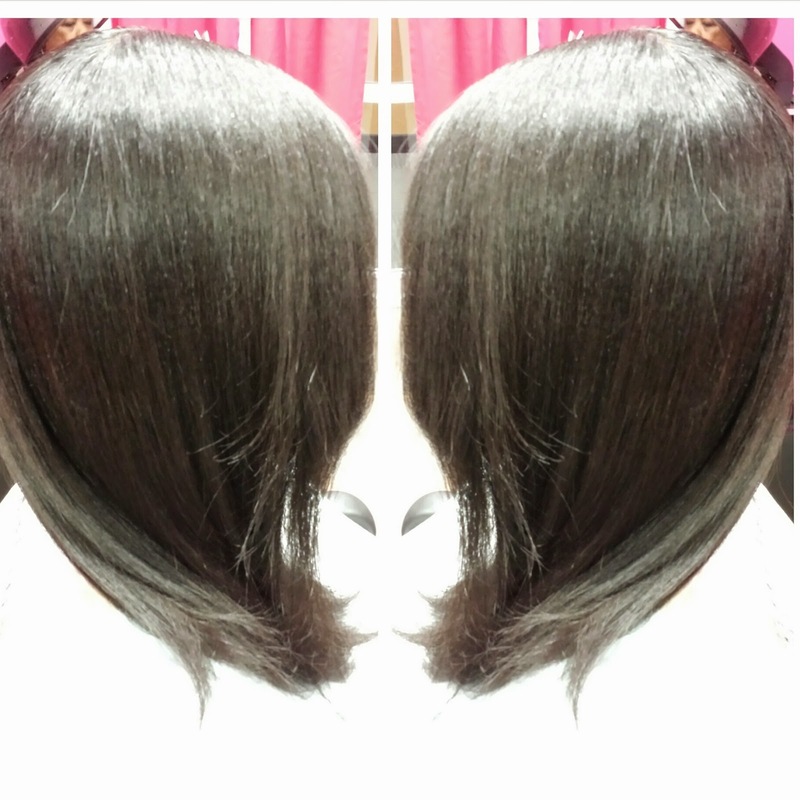 The secret to having long, healthy, relaxed hair is.......RELAXER STRETCHING! 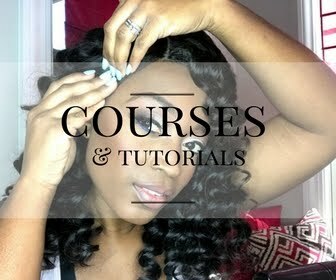 All of the clients featured in this post have relaxed hair. 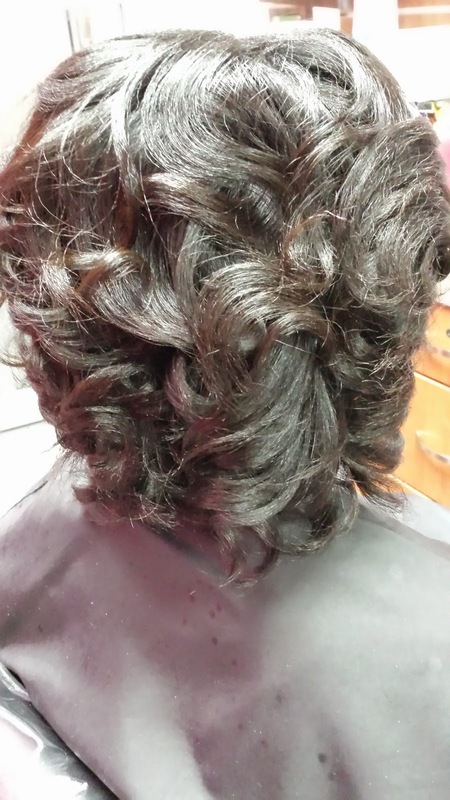 I make sure to not only keep their hair healthy as their hairstylist but to also educate them on what to do at home. To all of you ladies out there that go to a hairstylist regularly, that person should also be telling you all of the do's and don'ts in regards to having a relaxer. 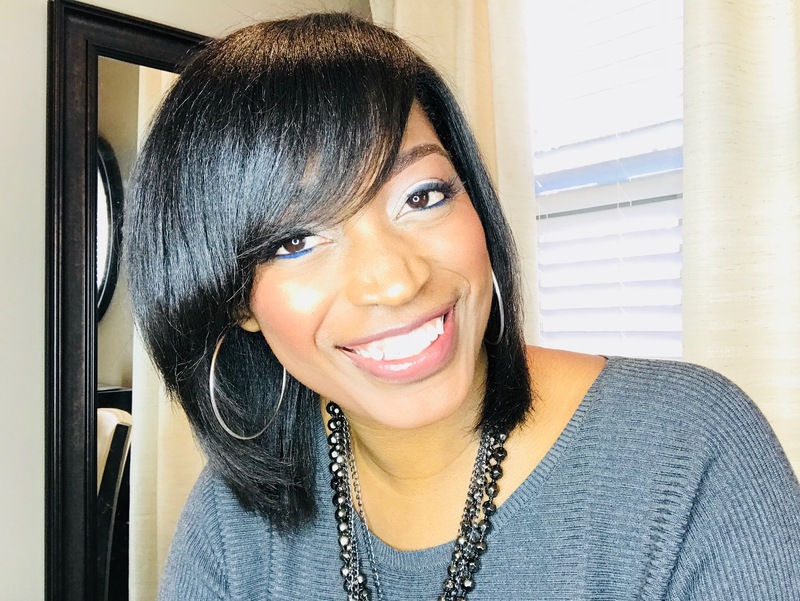 If they give you a relaxer whenever you ask for one without having enough new growth to prevent overlapping, or if they constantly suggest that you need one, that is not a good sign. 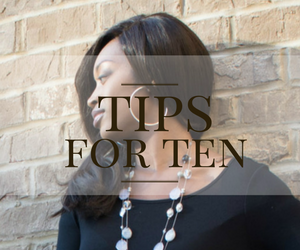 On the other hand, if your hairstylist encourages you to get healthy hair habits and you actually see growth in your hair then keep that hairstylist for life! Although I do a lot of silk presses with natural hair, relaxed hair is near and dear to my heart because I have relaxed hair. I take pride in having relaxed hair because my hair is healthy and I love the look of surprise on people's face when I tell them that in fact do have relaxed hair. You definitely do not have to have natural hair to have healthy hair. That is the reason why so many natural women actually go natural, it is because they have had damage from relaxers in the past. 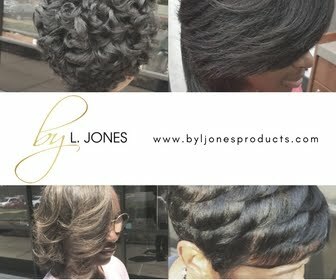 However, if relaxers are done correctly you can experience the healthiest hair you have ever had. 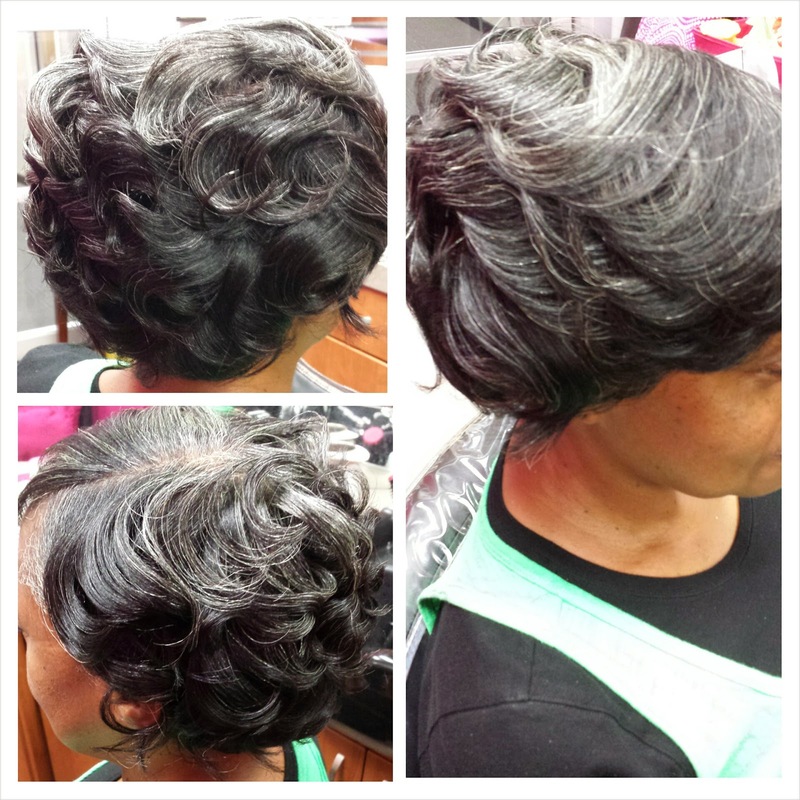 Whether you choose to be natural or relaxed, your hair can be healthy either way!